Stumbling across new anime blog: it is a matter of destiny! Foxy Lady came up with this idea of ‘animanga blog carnival’ post series. I think it’s interesting and easy to respond to. 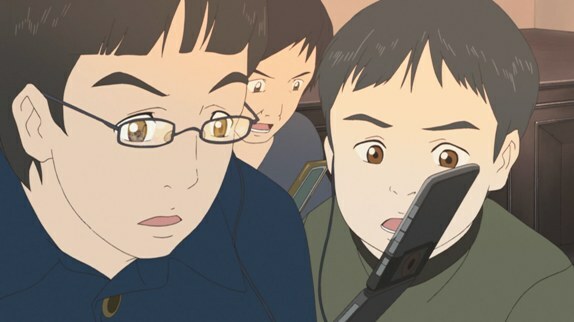 From what I understand, I have to write something about how I approach to a new anime blog and what I expect from it. I’ll make this post short and precise since no one likes wall of text including myself. 1. What do you like to read and why? I am not your typical episodic anime watcher who catches new anime every week. I routinely fell behind in most of the airing shows, sometimes due to poorly organized schedule and most of the time due to my mood. So when it comes to my preference, I’d say that reading editorial blogs suit me more simply because I don’t need to be that up-to-date to read it. On top of that, editorial posts are usually built upon larger premises or larger amount of materials. As a result, editorial posts have more potential to make an impact to the big picture. Nevertheless, due to the big pool of episodic blogs out there, I find myself often intrigued by insightful and fun episodic posts. The bottom line is that, editorial or episodic, a good post is a good post. When a blog has enough good post in it, it becomes a good blog (which I like to read). 2. What do we do when we stumble across a new blog? This is easy. I’ll give you my personal step-wise approach. When I encounter new blog, I ask myself these questions. – Is this an anime blog? I am not very knowledgeable in other fields eg. VN, manga. – Who is the blogger? It takes time to explore any blog thoroughly. If the blogger is a friend or he/she has already made me interested (via comments, tweets etc. ), I will take the time to explore the blog in details. For those bloggers I don’t know before, this is where the ‘about page’ matters a lot. – How interesting are the recent posts? Do not underestimate the title of the post because it literally stands for the entire post and if the title sounds great then the post get a chance to be appreciated. – What kind of comment does it get and how often? The more thoughtful comments the blog receives, the better looking the blog becomes. It means that the blog is at least mildly thought-provoking or inspiring. – How does it look? This is the least of my concern. I know it for a fact that many good bloggers have bad taste when it comes to blog design. And who am I to comment on blog design? But in reality, I think running into a new blog is like destiny. Sometimes, you run in to the right post, at the right time and you become regular reader. Sometimes you simply love reading what the blogger has to say because he/she is just charming or funny. All those steps I said above means nothing when you found the blog that is just ‘right’ for you. 3. 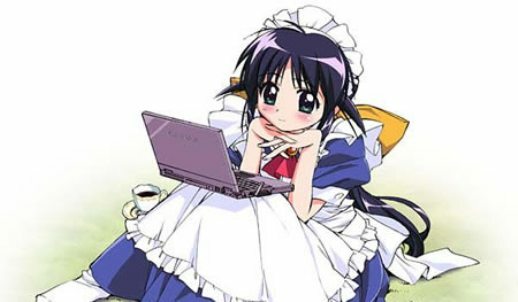 What must a good anime blog have and do? Be yourself. Everyone is unique and we need only to bring that quality out. Don’t stick to what other, albeit more successful, blogs have done because you will fail. Show passion. Call me a romantic person but I think anime blogs are product of passion and inspiration. Readers can feel those things when they read blogs and be fascinated. Do not lose focus. There’s always time that you want to write something completely out of the context of your blog and it is okay to do so once in a while. But if that happens too often, your anime blog turns into your personal diary which no one cares about but yourself. Be reliable. Of course, you don’t have to update every day or even every week. Just be regular at your own pace. Regular response to comments is also a plus. 4. What blogging behaviors annoy us? Being impolite and unfunny at the same time; case in point, mild degree of sarcasm, flaming, insulting and swearing are mostly acceptable as long as it’s funny to read. If you are not sure that you are funny enough, stay civil and polite. Displaying extreme lack of self confidence; there’s difference between being humble and having low self esteem. Some bloggers consistently show hesitation on whatever they write, some avoid making direct or decisive statement. Their posts are ultimately full of generic contents, devoid of personality. Being afraid to express yourself contradicts the very reason of maintaining a blog in the first place. Going on hiatus completely unannounced; I understand that everybody needs a hiatus once or twice but leaving without saying anything and making me disappointed every time I go back to your blog is not good. Yes, going missing is worse than dying (or taking a long break). Take home message: In the end, all of what I said is just my general approach to new anime blog. 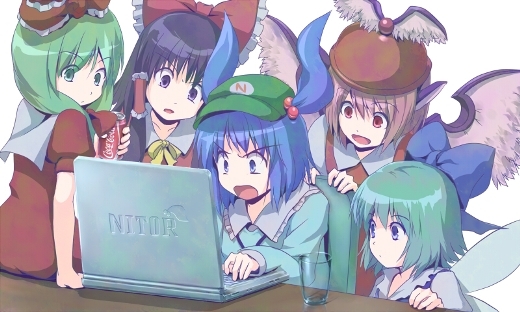 It is not meant to be applied to all blogs because anime blogs are essentially work of art. We are not looking for the perfect blog (there is none) but we are looking for ‘the right blog’. And there’s no general rule for identifying the right blog. You just know it when you see it. This entry was posted in Articles, Talks and tagged anime blog language, anime blogger, blog carnival, blogger. Bookmark the permalink. Thanks for your entry in carnival! I know you’re not suppose to judge a book by it’s cover, but the first thing I look at (obviously) is the appearance of a blog. If it isn’t easy on the eyes, I really won’t give it much of a chance. I won’t ignore it, but the posts have to be exceptional for me to go back again. Speaking of great posts, I have yet to find an episodic blog that really strikes a chord with me. Very few anime offer enough content in a single episode to make an interesting analysis so it usually just ends up with a summary and some filler. Why do I need a summary of the episode I just watched anyway? As for writing style, some things that sound good in your head just don’t work on the internet. It’s not anybody’s fault, it’s just that written words carry the tone of the listener, not the speaker. You can influence how your reader hears you with different sentence structure and vocabulary, but those writers are few and far between. For that reason, blogs that rely too much on sarcasm and crude humor tend to come off as immature, not funny. In the end, you sum it up as well as I ever could. “Sometimes, you run in to the right post, at the right time and you become regular reader.” The only reason I started reading aniblogs was because Mawaru Penguindrum had to much for me to discover alone. I found Altair and Vega’s colloquium on it and things just went from there. P.S. Just from the links in your article I’ve managed to find two more blogs I might be interested in! I only regularly check under ten blogs so that’s quite an addition! Thank you for sharing and reading! I still have lots to learn about writing but I am trying. About the blog design, I like minimalistic theme; easy to navigate and read. Putting in many decorations can make the blog appeared to clustered or, in some cases, seizure-inducing. On writing, I must say that there are few really quality writing in the sphere. But there are numerous ‘charming’ writers to be found. Some writers fascinate me with charismatic personality. some with sense of humor and so on. Too true when it comes to the fact that some bloggers use sarcasm and mocking attitudes in their writing to try to “sound” funny. Really, there’s simply too many posts on there in the aniblogosphere that openly mock other bloggers of good intent, which undermines their efforts and only fuels the engine of war. Well, it’s understandable that people want to express themselves, but there a limit to how much sarcasm and mockery can be permitted, I mean, after all, there are people do get upset over such things. Of course, it depends on how the individual interprets the mockery, which can either be turning a blind eye to it or getting incensed by it. True drama, if you will. Reading written words is different from talking to other person face-to-face because we see only the text and nothing of the voices and body language. The interpretation is mostly up to the readers. Uhm, maybe I should have written that we were looking for the perfect blog but each person had his/her own ‘perfect blog’. I like your comments about impoliteness. Sometimes when someone is trying to be funny, sounding sacarstic and all that, they don’t know that they are actually offending everyone else, and he himself actually sounds “unfunny”. That’s why when I write posts, I try to make myself sound calm, civil and polite, and jokes on a very minimum level. It’s tough be sacarstic/swear and makes a funny impression on top of that too. Kudos to bloggers who is able to achieve this. I agree with your points that you made. Although most of the anibloggers are mostly polite, I can’t help to think about the Aniblog Tourney where Whiners.pro told authors of blogs to kill themselves or jump off the cliff. However, I think it’s okay to swear and show some sarcasm if it’s civil and not personal attacks. Once a person goes there, it doesn’t reflect well on their reputation. But yes, some of the points are similar to what I wrote, particularly the haitus/posting frequency, and not losing focus. What bothers me about a few blogs which I will name is that they decide to post about personal stuff like getting a new Smartphone and complaining about Windows. Stuff like that is best kept for a tumblr or a side blog, not an Anime Blog. The aniblog tourney was a rich source of drama, to say the least. And Whiners was only part of the big picture.